There is a difference between twisting and turning. The Spine Twist on the mat will show you if you are twisting or turning. There is a difference between twisting and turning. And the Spine Twist on the mat will show you if you are twisting or turning. Because your legs are tight together, its easier to see your hips move than when you are doing the Saw. As you challenge yourself with the Spine Twist you’ll find your Saw improve as well. A couple things I like to make sure I do before I begin the Spine Twist is to connect to my seat. This helps me get out of my lower back and lift tall. I also like to make sure my shoulders are connected to my back so that I pretend to increase my twist by moving my arms. There is a difference between twisting and turning. 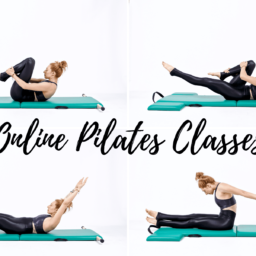 Spine Twist traditionally done after the Jackknife is a great exercise to add into your Pilates routine once you can sit tall out of your lower back. If you are feeling good about your Saw, then hug your legs together twist some more and skip the rounding forward. Sitting tall with your legs tight together and your arms wide to the side palms facing down. Twist to one side and then try to twist a little more and then a little more. Return to center and then do the other side. Repeat 3x on each side. As you twist your feet should not slide past each other. Squeeze your heels tight together as you twist and if your feet slide do not twist any further. Instead, feel as if you are pulling your opposite hip back. If you are twisting to the right pull your left hip back. Twisting to the left pull your right hip back. This will really help you feel like you are wringing out your waist. This is also the last twisting exercise of our mat work if you are doing Joseph Pilates order. Spine Twist deepens our knowledge of the twist and prepares our bodies for the side body exercises to come.